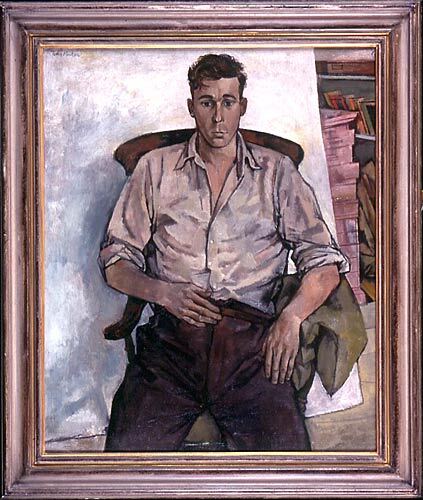 Caption: Portrait of Bill by John Minton. Minton had been a school boy in Reading and was a charismatic and sociable tutor at the Royal College of Art when this portrait was painted. The identity of the sitter is not known.